Avoid the work and the confusion about water balance with our pool cleaning service. Does it feel like you spend more time cleaning your pool than you do enjoying it? This is an easy task to delegate by calling us here at Cayman Pool & Spa. 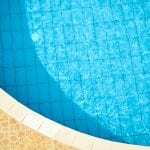 Our pool cleaning service is perfect if keeping up with your pool has become challenging. Our experts can take care of opening your pool, closing your pool, and every week in between. It isn’t just a lack of time that might lead you to call about our pool cleaning service. You might also feel uncomfortable with the entire chemical process and be unsure whether the water is truly safe for your family. Let us take that responsibility off your shoulders with our expert water balancing and other routine maintenance that your pool needs to be perfect for swimming. We understand that it can be frustrating that, because of weather changes, there isn’t one proper procedure for adding chemicals or even choosing which to use. With our pool cleaning service, you won’t need to worry about that again. You also won’t need to store any pool chemicals, which can be another issue. We take care of using just what is needed on each visit. Finally, our pool cleaning service team is observant about any issues that may be going on with your pool and equipment. We can alert you to these, so repairs can be made before they can become larger issues. If you would like to know more about what is included in our pool cleaning service and what it costs, give us a call or stop in one of our two convenient locations in Mooresville or Concord, North Carolina.